I had forgotten I had spoken for a rather long time at the the october MoMo in Paris. Thanks to the team for having edited the content in a shorter clip. I was actually talking to Chris Messina about vpod.tv. It's all here on Rebie's vlog. DSC01786, originally uploaded by rsepulveda. 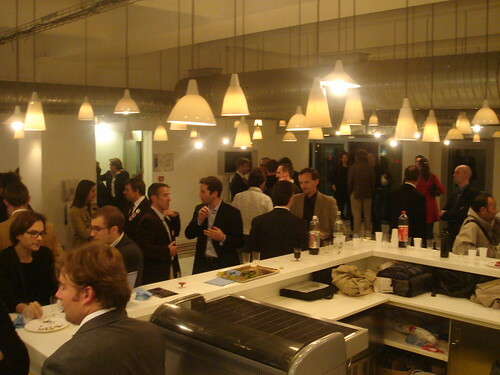 There were many known faces last night at the Mobile Monday event in Paris. The event moved for the first time to the top floor of ad agency Betc, and we had a blast. Lots of people and friends showed up. It seems indeed that the internet industry is heating up. My pix are up on flickr: watch them by clicking on the pix and followign from there.